The best wired workout headphones (with sweat-protection and secure fit) that can compare to the wireless. Why Get Wired Workout Headphones? What Makes Good Workout Headphones? Is It Bad to Wear Headphones While Working Out? Jump to: Best Wired Workout Earbuds | Wired Workout On-Ear Headphones | Over-Ear Workout Headphones | Why Get Wired? | What Makes Good Workout Headphones? The best wired sports headphones are, in our opinion, Bose SoundSport in-ear headphones. After checking more than 37 of the latest “sports” headphones with wires, we picked the best ones, so you don’t have to. If you hate always charging the battery or don’t want to pay a premium price for wireless, you can get top-notch wired headphones that will do great for all kinds of exercise. Bose SoundSport are the best wired earbuds for sports you can get right now. 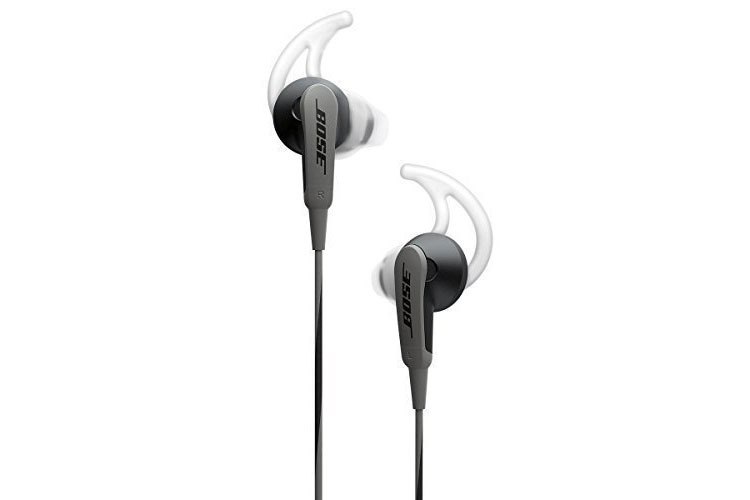 If you’re familiar with Bose sound quality and think comfort is important, Bose SoundSport are the right pick for you. The latest wired SoundSport are the most comfortable earbuds for working out among wired models. And they are also the best wired headphones for running. Ear hooks keep them in place, but the sound isolation is sub-par. Bose SoundSport aren’t your average in-ear monitors because they actually don’t go that deep into your ears. The design is something in between in-ear monitors and first Apple earbuds. The earphones sit slightly into your ear canal but don’t go very deep. This is great for comfort, but it’s not very effective at noise isolation. You can hear quite a lot of background noise with these so make sure you don’t intend to use them in a loud environment. Sound leakage helps with being aware of your environment, so this is a good thing if you’re working out outside. And it’s also the reason why these are one of the best wired earbuds for running (you need awareness to stay safe). At the same time, there is more music leakage than with average IEMs (in-ear monitor). If you listen to them loudly, others will be able to hear your music. For gym use that isn’t too loud, these are perfectly fine. but are even better for outside exercising or running. Keeping them in your ears is very easy, due to secure fit they don’t fall out even during fast movement. Like said before, these are very comfortable earbuds. In fact, we think SoundSport are the most comfortable earbuds on the market among wired workout earbuds. This says a lot about this Bose sports model. If you have problems finding comfy IEMs for working out, try these. You can barely feel them in your ears, and because they’re quite small, you can even sleep with them with your head on the side. They’re lightweight and have excellent ergonomics, you can’t ask for more comfort from a pair of earphones. Decent durability, not the best plastics. This is where Bose SoundSport lack the most, this doesn’t mean durability is terrible, but it isn’t top notch. The plastic housing is built rather well but still can’t compare to metal earbuds that you can find on the market. The wires are relatively thin but have proper strain relief with an I shaped 3.5mm plug. They’re also sweating and moisture resistant to survive hot and sweaty workouts, just don’t dip them into the water, they aren’t water-proof. Overall, as long as you don’t abuse them, they should last you a long time even in a harsh sports environment. 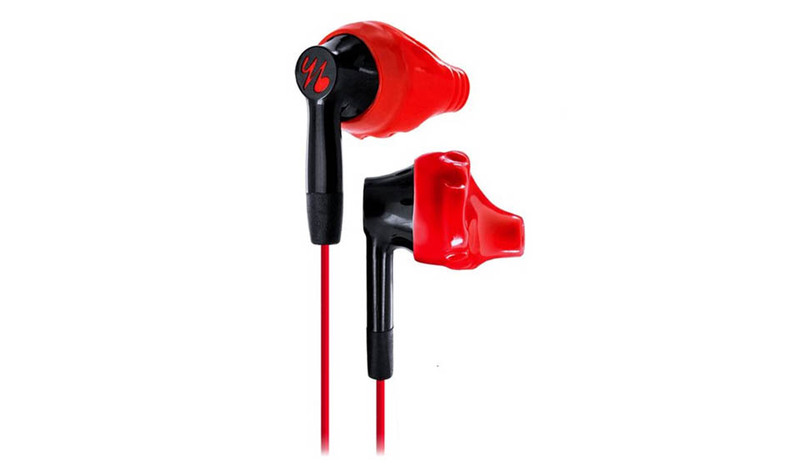 Check the most durable earbuds on the market here. A model with in-line controls and microphone can be yours for more money. There are 2 models, one has an in-line remote and microphone, and the other, cheaper one doesn’t have it. Make sure to pick the right model as there are different models for Apple or Android devices. The remote is well made and easy to use with accessible buttons. The microphone sound quality is good enough to make calls, but don’t expect sonic fidelity. If you’re used to cheaper in-line mics, this one will be more than you’re used to. In the package, you get a nice protective carrying case, a shirt clip and 3 pairs of ear tips with wings. Typical Bose sound signature, stronger bass. Sound quality is another selling point for Bose SoundSport. While audiophiles might not like its imbalanced sound with recessed highs and mids and enhanced bass, it offers a fun and dynamic sound. The bass isn’t too boosted, so these aren’t basshead earbuds, but for an average user who isn’t too concerned with balance, these have great sound. The music with these has a nice beat to it while not dramatically lacking mids or highs. It has the typical Bose sound signature. Overall, the sound can’t compare to audiophile models but is better than your average earbuds, so they’re very easy to enjoy during workouts. For a combination of great comfort and fit for sports with a slightly bassy sound, get Bose SoundSport in-ear headphones. Sennheiser CX 686G Sports are special-looking and comfy workout headphones from a reputable brand. These IEMs are made for people that don’t mind having a design that stands out. They are made from quality materials, so they’ll last for a long time. To secure the fit, you get an ear wing to keep the buds in, even during heavy exercise. Once you put them on, no readjustments are necessary. Also, because of their tight in-ear fit, they have effective noise isolation. On the cable, you will find an in-line remote with microphone. There’s only one button, but it is multi-functional so you can manage your tracks from there. Plus, they are waterproof certified so no sweat can harm them. An overall solid product from Sennheiser. Although the design is attractive, some people might not like the noticeable neon-green color. Another problem is the remote control isn’t compatible with iOS. These in-ears have slightly emphasized bass. It’s loud and powerful, but still sounds natural and isn’t too heavy. There’s just the right amount of bass to give you the motivation you need. Vocals come out nicely as well making these great for hip-hop or rock. Sennheiser CX 686G Sports are one of the best wired workout earphones perfectly suitable for gym, running or any other activity. 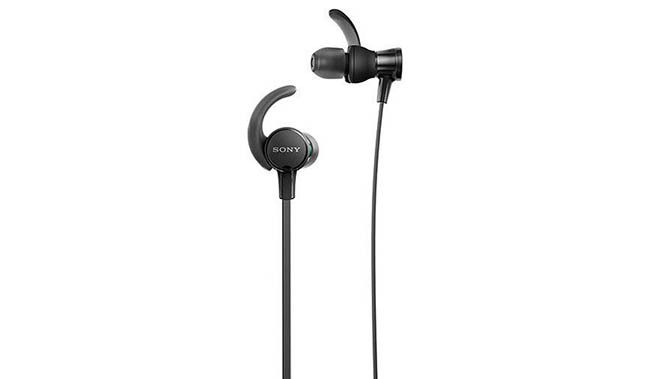 Sony MDR-XB510AS Extra Bass are perfect for everyday use in the gym or while running. As their name already suggests, these Sony headphones are made for sports enthusiasts who also like heavy bass. Ear wings help stabilize these earbuds on your ears during a workout. Even if you move your head a lot, these won’t fall out. They are made out of sturdy materials. Because of that, they last a long time. And with the IPX5 rating, you can use them in every condition and every weather. They are protected from sweat and water, you can even clean them under a tap. Moreover, playing or pausing music is possible with a single button remote. There’s also a microphone. It’s good quality, so you can even use it for more critical calls. Even though there is a remote control, you cannot adjust volume. Clear mids and highs are joined by mostly deep, boomy bass. The bass fits nicely into other ranges and gives you perfect motivation in the gym. Mids are slightly warm, and highs are satisfying enough for an average listener. It’s ideal for rhythmic music (like EDM and pop) which sounds marvelous. If you want that extra bit of bass in wired workout earbuds, then Sony MDR-XB510AS Extra Bass can give you a little push to finish your daily workout plan. MEE Audio X1 are cheap in-ear headphones for sports, but bassy sound and solid construction make them a steal. If you’re looking for budget sports earbuds, these are the best for the money. 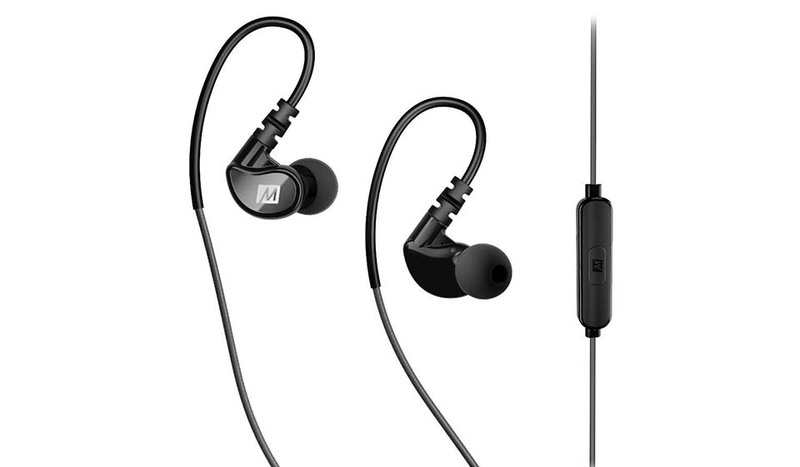 These are the same as the popular MEE Audio M6 but come with a mic and remote control, while still under $30. Ergonomically rounded and smooth plastic design makes them comfortable for long workout sessions. Plus, the memory wire folds into ear hooks and provides stability even for running. With the right ear tips, you can get fantastic isolation to block most ambient noise. Moreover, the in-line remote gives you the ability to play and pause your tracks, and there’s also a microphone so you can use these for calls too. Because of the IPX5 rating (waterproof), they can withstand any amount of sweat and even rain, perfect for inside or outside exercise. Check other durable earbuds or earbuds for swimming. The one-button-remote doesn’t provide volume control, which is kind of a bummer. The sound is pretty good for the price. It is bass enhanced, but you need an airtight fit. It’s perfect for all bass-heavy music which is most popular among sportspeople. MEE Audio X1 are one of the best wired workout earbuds on the budget. With bassy audio quality, high comfort, and stability, you’ll start to understand why they are so popular. Yurbuds Inspire 200 are solid sports earbuds with fantastic comfort, fit, and situational awareness. If you’re looking for decent headphones for sports that make you aware of the world around you, check these out. Long-lasting ergonomic design provides a great fit. These in-ears don’t fall out even during the hardest workouts. Ultra soft tips help with the fit and give you ultimate comfort for hours. Although they have some noise isolation, they don’t block all of the ambient noise. That comes especially handy if you’re running on busy streets. It’s overall good for your awareness of surroundings, so it makes them perfect for runners. You have to manage your tracks and volume from your phone because there’s no remote control. On top of that, no mic makes it impossible to make calls while in use. Inspire 200 earbuds produce a somewhat balanced sound. The overall audio quality is what you’d expect for the price. All ranges are clear and pretty detailed. You will enjoy every music genre. The biggest strengths of Yurbuds Inspire 200 earbuds is their fantastic comfort and fit with the option to hear your surroundings. It makes them a perfect choice for runners. 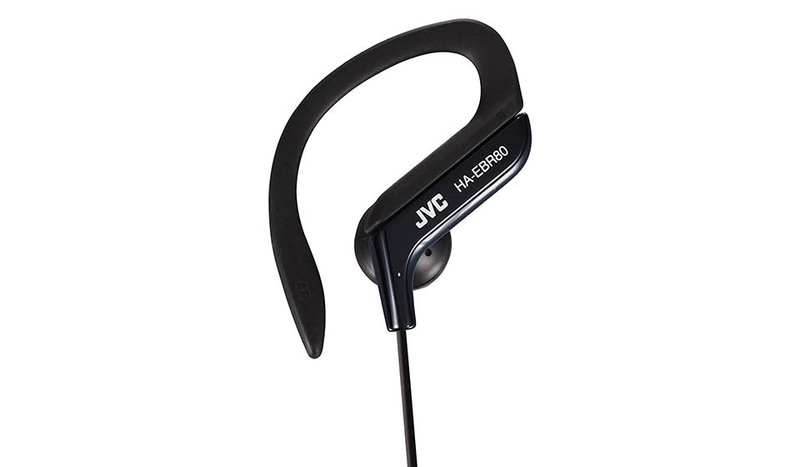 JVC HA-EBR80 are the best cheap classic earphones (earbuds) for working out. If you’re searching for cheap, comfy sports earphones in a classic design, then read on. The JVCs have a classic design. Remember how the first Apple earbuds used to be? They rest on your ears, rather than go inside the ear canal. Yes, they lack good noise isolation because of that but it makes them better for your awareness. Note: Looking for active noise cancelling headphones? The adjustable ear-clips secure them on your ears perfectly. The clips are made out of soft rubber, so that makes the earbuds extremely comfortable. Sweat and water won’t ruin them. Also, you can use the 1-button-remote to manage your music and a microphone for calls. Remote control doesn’t provide volume adjustment. You have to reach for your phone every time you want to adjust it. Also, the sound is really not the best in this category. Their sound signature is balanced. Mids are clear and well-present. Bass isn’t strong, and some people might complain it lacks in the lows. Nonetheless, for budget classic earphones they sound well enough. Just don’t compare them to expensive in-ears. JVC HA-EBR80 bring extremely secure fit and comfort with ample situational awareness (perfect for runners or cyclists) in a cheap, classic design. 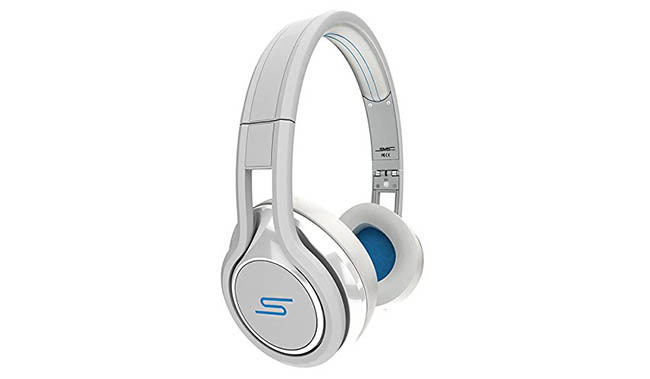 SMS Audio Street by 50 are the best wired on-ear workout headphones. If you want water resistant on-ear headphones for sports then check these. Because of their lightweight and foldable design, you can take them with you. In addition, you can take the dirty covers off from ear cups and wash them among your socks. The design can survive most of the accidental drops on the floor, and the cable is detachable. You also get an in-line remote control for managing music and a microphone for phone calls. They come in 3 different color variations. Also, what might draw your attention is that the headphones have been designed by 50 Cent, the famous rapper himself. Stronger pressure from the cups might make them uncomfortable for some people. Because of their classic on-ear design, they might not be as stable on your head compared to in-ears during heavy workouts. Nothing special but as you would expect for the price. The sound is somewhat balanced, with bass more in-front. Moreover, clear mids represent the vocals well. These headphones are suitable for any type of music. SMS Audio Street by 50 are designed for sports and stay on your head. With washable earpads and pleasant sound (plus an affordable price), they are among the best bang for your buck when it comes to workout on-ear headphones. 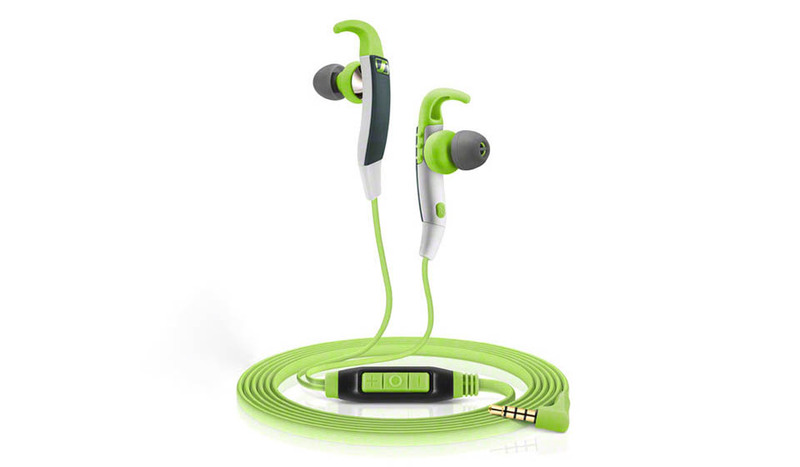 The best value for money on-ear workout headphones with wires are Skullcandy Grind. 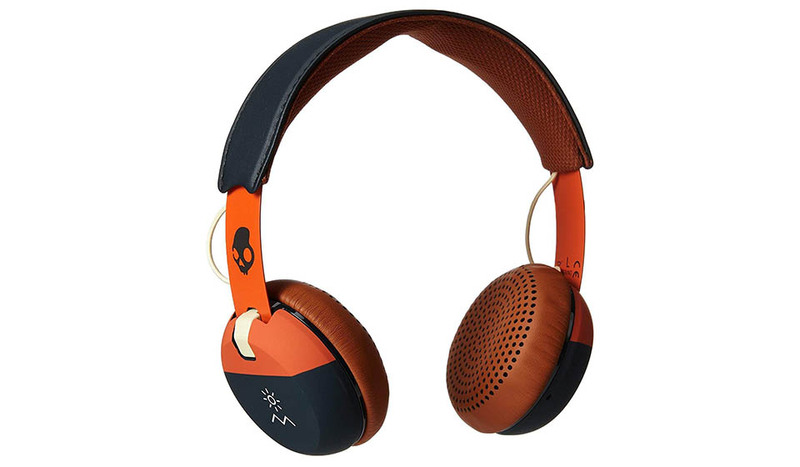 Skullcandy has become quite popular lately and we understand why. The new Skullcandy Grind on-ear headphones offer a lot of value for their price. The basic, black and grey model costs under $30 while you’ll have to pay around $40 for other color combinations. Above all, these on-ear sports headphones offer everything a gym goer needs, for very little money. Reasonably stable, need some readjustments. Not the best noise isolation. The headphones being on-ear, they aren’t as stable as earbuds, but if you’re lifting weights or using a machine in the gym, they stay put. They’re good to use for running as well, as long as you don’t try to do acrobatics as that would probably be too much. Here you can check the best running headphones. The noise isolation is average, you can hear some of the background noise and others will also be able to hear your music in a quiet room. No big issue if you’re in the gym when it’s quite loud or working out outside. Light and comfortable for the first couple of hours. The foam on-ear earpads are soft enough to make them comfortable to wear for at least a couple hours, after which time your ears start to get slightly irritated. On-ear headphones are never as comfortable as over-ear or in-ear headphones, so this is not the fault of the Skullcandy Grind, but the general design. The ears do get warm after a while especially during exercise, but you won’t avoid heat or sweat with any other on-ear or over-ear headphones either. They are lightweight, stay on and are comfortable to wear long enough for even the hardest working gym-goers. Average durability, flexible headband, no water resistance. They aren’t made for sports use specifically, so they don’t have any sweat protection, but since these are on-ear headphones, the drivers are well protected from the sweat. The metal headband is very flexible and will survive for a long time. The plastic casing is durable enough to last a couple of years as well, just don’t throw them around because they’re heavier than IEMs. The wires with L-shaped 3.5mm are detachable which is great for when you accidentally pull on them too hard, they can be replaced easily without having to throw away the headphones. For the price that you’re paying, durability is more than good enough, and with some care, you’ll be using these for a while. On-board controls and microphone, sub-par mic quality. There is one button on the side of the ear cup which controls songs and calls, but not volume. The buttons are quite intuitive and become easy to use once you learn what to press for each function. The microphone is also present and does the job, but compared to other in-line or in-headphone mics lacks a bit in recording quality. In the end, this is a budget model after all, so it’s great you get a microphone at all. Good sound quality for the price, strong bass. The sound quality is surprisingly good, not like other Skullcandy models, this one is actually good for the price. While the bass emphasized sound signature still can’t compare to high-end models in clarity and richness, it produces a satisfactory sound that’s perfect for working out. The bass is strong enough to get you going while still hearing treble and mids with enough clarity. The only thing we did notice is they are 33 Ohm headphones so you’ll need a bit more power to listen to them very loudly, like many earbuds which are 16 Ohm. These are budget headphones so expect less from them and you’ll be pleasantly surprised. 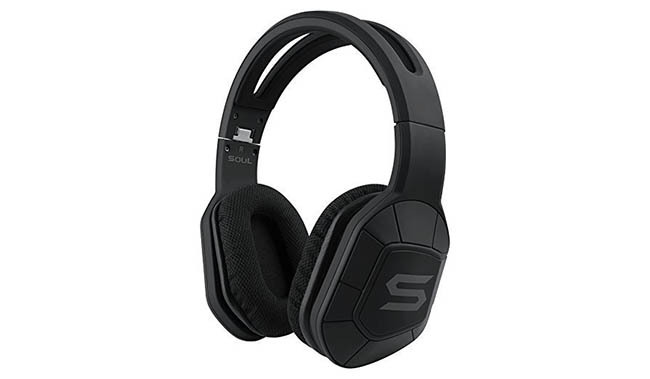 For best bang for your buck when buying on-ear sports headphones, get Skullcandy Grind with good combination of comfort, durability, style and sound all for a low price. The best on-ear cheap sports headphones are Koss SportaPro, perfect for fitness. 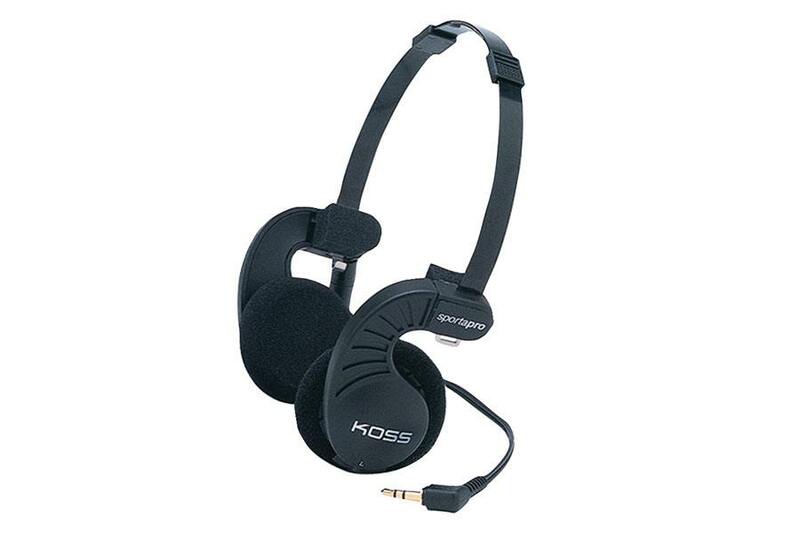 Koss SportaPro are very similar to famous KSC75 , but with slightly different sound signature. Because they are light, they stay on the head, bad noise isolation. Keeping them on your head is easy due to their lightweight nature and a flexible headband, making them great for jogging or working out. These can be worn either over the ears or behind the head, either way works, it’s only a question of personal preference. The open-back headphones have soft ear cushions that touch your ears. The background noise isn’t isolated much, but they are loud enough to overpower any noisy gym. Because they let in ambient sound, they’re safe for running outside. Very comfortable due to their lightweight design. The cushions are mostly good for comfort, which SportaPro definitely are. Feather-like light you’re sure to enjoy wearing these for hours. Not the best durability, plasticy design. The durability isn’t much to be desired. The same cheap design with no durability features, probably the reason why they can be so cheap. If you break your pair of headphones frequently, just get 2 of these to last you a while. One of the simplest and cheapest headphones on the market right now, you can’t really expect any additional features like in-line remote or microphone. You can forget about that when it comes to Koss SportaPro. Bassy sound signature, good for bassheads. The sound quality of SportaPros is rather “bassy”, even to the point of losing treble. Bass is deep and emphasized even at higher volumes, quite a feat for such lightweight headphones. Many prefer bass-heavy sound for sports activity. You can also check PortaPro model for slightly more money, but with more Hi-Fi sound. In general, these are great value for money, lightweight, comfortable on-ear sports headphones with bass heavy sound. Soul Combat+ are the best wired over-ear headphones for sports. Do you want a stable pair of over-ear headphones that securely stay on your head during your workouts? Then read on. Note: These are an older model but if you can get them for a fair price, they’re the best wired option. While these are bigger than the alternatives, they are perfectly suitable for exercise. Lightweight design and comfortable frame make them enjoyable for a long time. Cups are softly cushioned and can absorb your sweat. Plus, you can take off the cups and put them in a washing machine. Foldable design makes them portable and can even fit into a smaller bag. Moreover, the over-ear headphones are sweat-resistant, so no worries about damaging them with sweat. Supposedly, they are also bacteria-resistant. You also get an in-line remote with microphone. You can play/pause your tracks and adjust the volume. The mic works decently for phone calls. Because of their secure grip, you get good stability and noise-isolation (compared to other over-ears, earbuds are still better). They are a bit pricey and seem to have a problem with cord durability. While you might expect great audio since these are over-ear headphones you have to understand they are made for sports. They sound decent enough for a workout environment, but most alternatives probably sound better. Soul Combat+ are made for gym-lovers and runners, who want an over-ear design with water-resistance, while not the best sounding, these are still a top choice in the category. There are many reasons why the cable still wins the wired or wireless battle today. Always ready. There’s no need to charge the battery life. Your sports headphones are regularly prepared, and you can just keep them in your sports bag for when you need them again. Usually cheaper. Sure you can get cheap wireless headphones but most often than not wireless are more expensive. This plays a vital role if you’re on a budget. Arguably sound better. Nowadays, the Bluetooth headphones are so good it’s tough to notice the difference in sound quality. But it’s a fact that Bluetooth distorts and diminishes audio quality by compressing the files. Maybe in the future, we get lossless Bluetooth compression, but this isn’t the case today. Longer lasting. As you probably know, lithium-ion batteries inside wireless headphones don’t have an unlimited life expectancy. In fact, with every cycle (charge and discharge) and every year of age, it loses its capacity. It’s only a matter of time when your wireless workout headphones become useless. You can read more about why lithium-ion batteries die. The only thing wireless workout headphones are better at is convenience. You can see what the best models are here. But not everything is sunny for headphones with a cable. There are significant reasons when wireless is better. No wires to tangle. As you’ve probably experienced, tangled wires are annoying to deal with. You always have to be careful not to tug or pull on them too hard. The cable is a big weak point because it tends to break more easily than other parts. Not as convenient. You need to have your music device with you at all times. This adds additional weight which is significant during sports. A smartphone flapping around in your pocket is annoying and increases possible damage danger. No mic and remote. A lot of wired headphones come without a microphone or remote control. If you’ve become used to these features, then you might not be able to get the headphones you want. But this is a minor problem. A secure fit. Without it, the headphones won’t stay put during a workout and thus be useless. This is primarily a problem for bigger over-ear and on-ear headphones. The best workout headphones provide a stable fit for all sports situations. Sweat and water resistance. Water is the arch-enemy of electronics. You should keep it away from the internal parts of headphones if you want them to last. Thankfully, many models come with certified IPX rating which tells you how much moisture exposure they can survive. Enjoyable sound. As with all headphones, audio quality plays a part. While you might not expect sonic fidelity in the gym, you want to enjoy the music to push you harder. There are many different sound signatures to choose from and thankfully, at least as many headphones that fit the bill. No. The headphones are entirely harmless, and you can safely wear them for hours. Most athletes use them for motivating themselves. Just make sure you don’t abuse them. High volume can damage your hearing over time. Read more about it here. Thank you for reading our guide. Let us know if it helped you make a better decision. If not, tell us what’s missing.